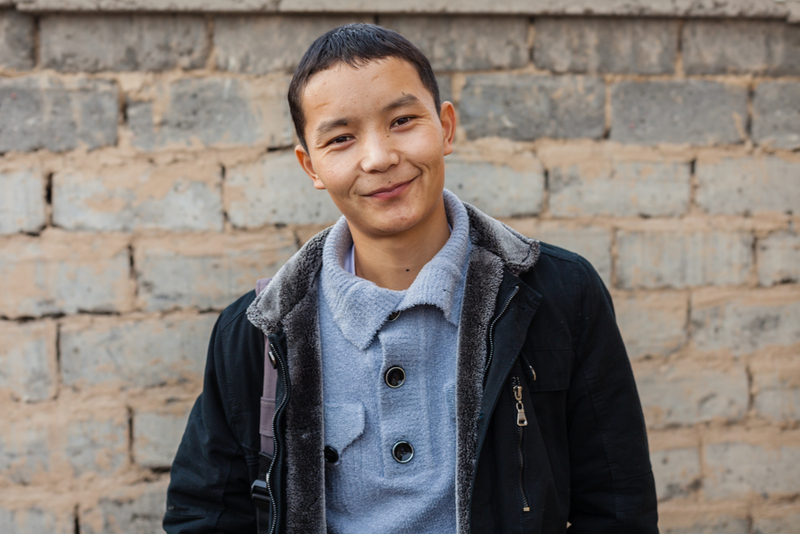 I met Almaz, who is an AUCA student on a full scholarship, so he doesn't have a Kiva loan. 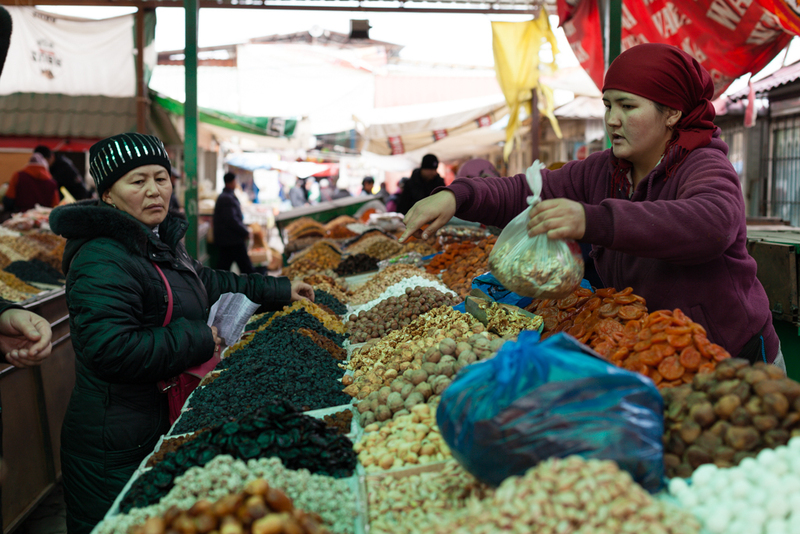 Almaz offered to take me to see Dordoi Market - one of the largest markets in Central Asia. Goods from China arrive here to be sold or shipped to places like Kazakhstan, Russia, and Uzbekistan. Dordoi is on the edge of Bishkek - on the north side of town, away from the mountains. More than 20,000 people work here - it's like a small city, made entirely of shipping containers. You can buy just about anything here - especially if it's made in China. Almaz attended AUCA's New Generation Academy - which helps fill the gaps in public education in Kyrgyzstan and prepares students for University. Almaz's dream was to attend AUCA, so after NGA, he applied to AUCA and is currently finishing his first semester here. 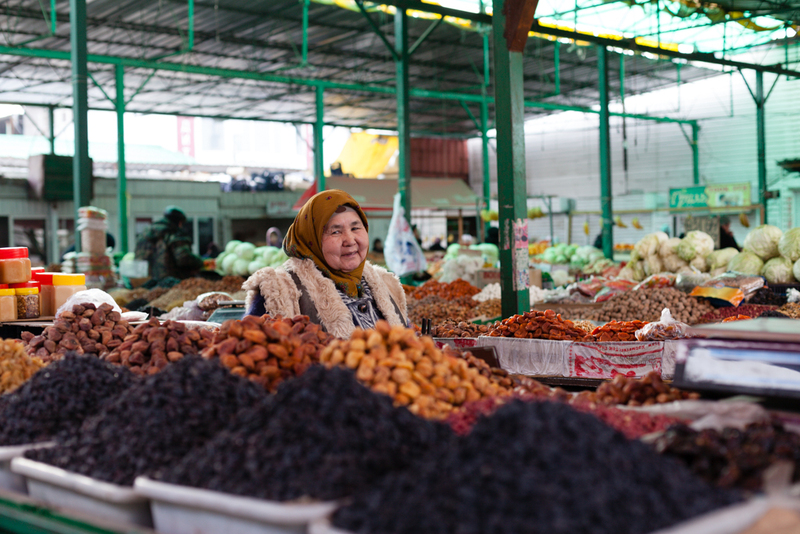 Almaz grew up working in the market with his family and lives nearby. Almaz knows his way around, which is good, because otherwise I would have been hopelessly lost! The market is over 1 kilometer square. We stopped for lunch at one of the restaurants in the "car repair" section of Dordoi. 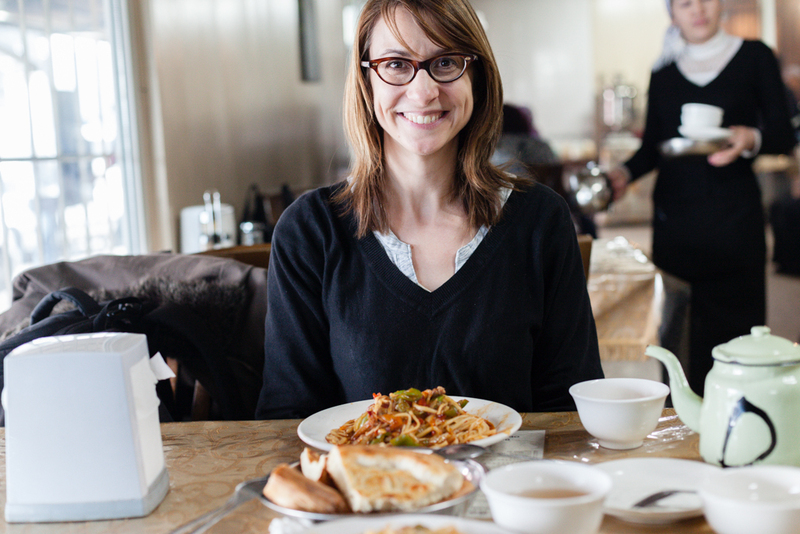 I had lagman - which is Kyrgyz cuisine, but is actually considered a Uyghur dish. It's awesome. The best part of Dordoi, and the most mellow part is the fruits and vegetables - it's where I could pause and actually take photos. Everywhere else, there are guys with carts who run goods across the market - they will run you over if you don't get out of the way! 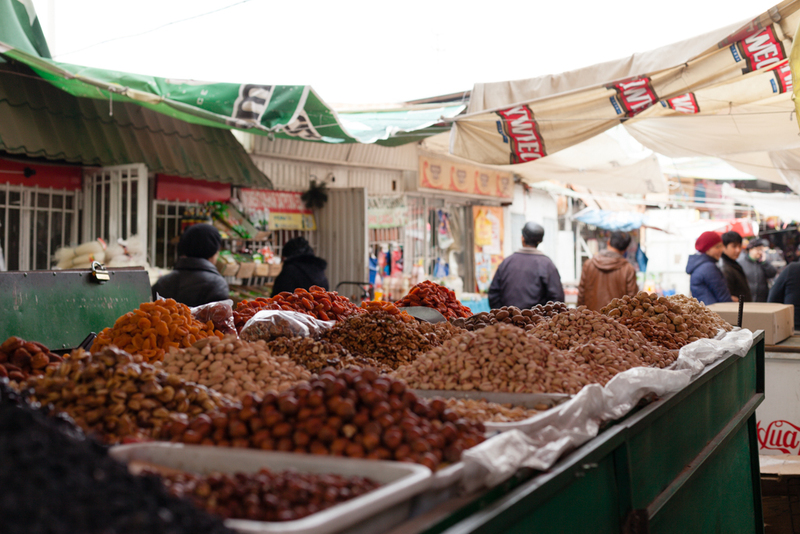 Bring on the dried fruit and nuts! Unbelievable how much there is for sale here! 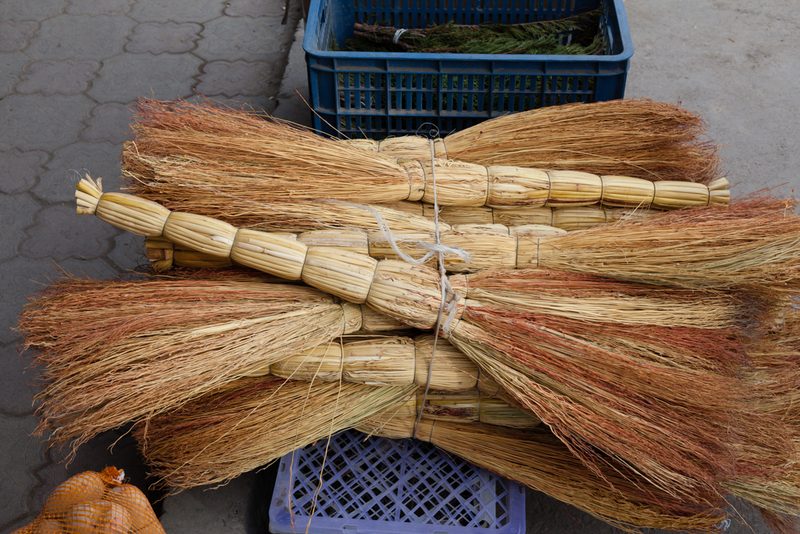 Kyrgyz brooms - wonder if I can get one in my suitcase? 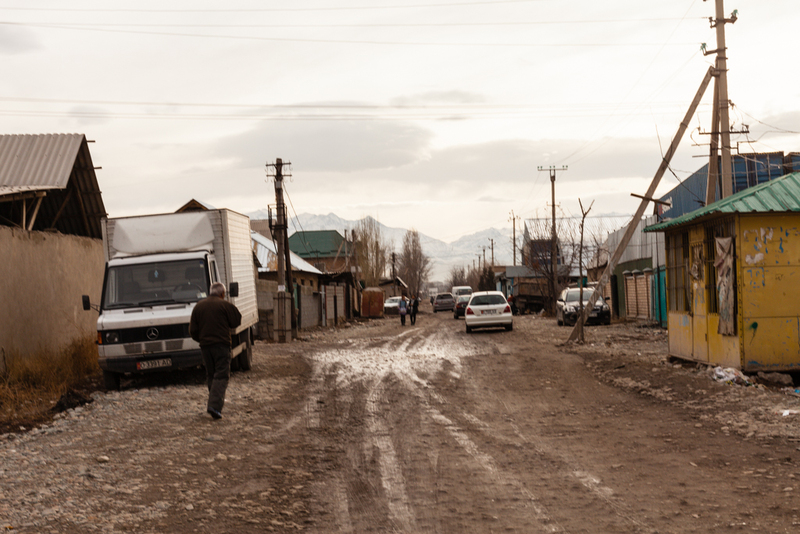 The neighborhood around Dordoi supports the market - many people who live here work in the market, or rent rooms to workers. 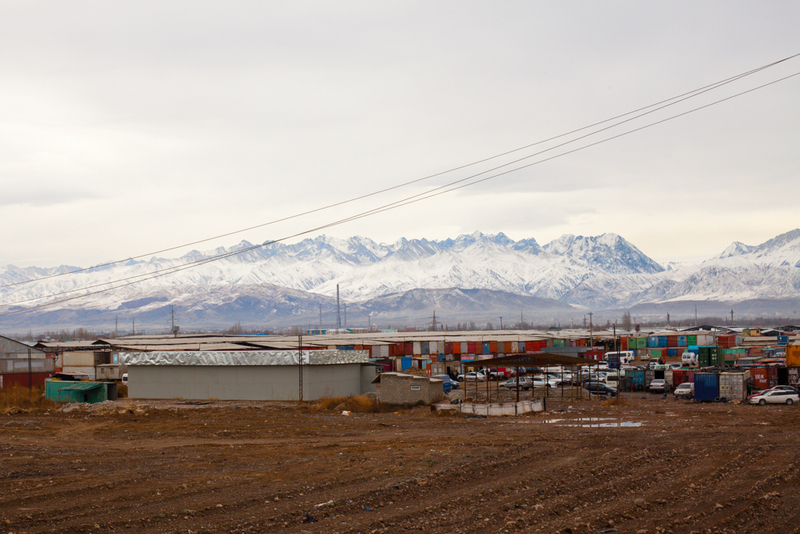 Many of the people who live and work here are migrants from elsewhere in Kyrgyzstan, like Almaz's family, or from elswhere in Central Asia. Almaz and his family are building a guesthouse on their property to rent to families who work at Dordoi. He was curious about Kiva, asked me a ton of questions and didn't realize Kiva offers loans to small businesses. I was thrilled to see Dordoi with Almaz, who is not only a local but a Dordoi insider, and a fascinating AUCA student. Thank you Almaz! 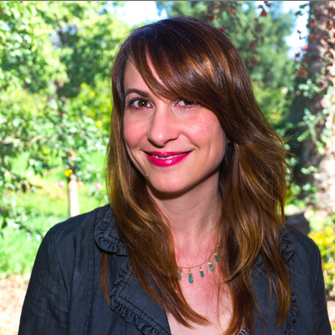 Check out AUCA's fundraising Kiva loans and other education loans fundraising on Kiva!